Are These The Least-Scary Monsters In London? Sandra Lawrence Are These The Least-Scary Monsters In London? The line of 'fearsome' beasts at Hall Place. Hall Place, nestled between Bexleyheath, Crayford and, er, the A2, is one of London’s more surprising ‘secret’ houses. The Grade I listed mansion is either medieval chequerboard flint, Elizabethan glass or Stuart elegance, depending on which angle you’re seeing it from. The displays range from second world war secret service GIs, to creepy snail tricycles and tin clowns from the now-defunct Mobo toy factory. The gardens boast an eerie turf maze, an owl sanctuary and immaculate front gardens for a suburbia that only ever existed in 1930s property ads. If it’s a bit odd, Hall Place has it. Tell us you don't find this a bit creepy. Oddest of all, though, has to be the set of Queen’s Beasts, where, in 1953, the house’s patriotic gardeners expressed their devotion to Elizabeth II through the medium of hedge-art. 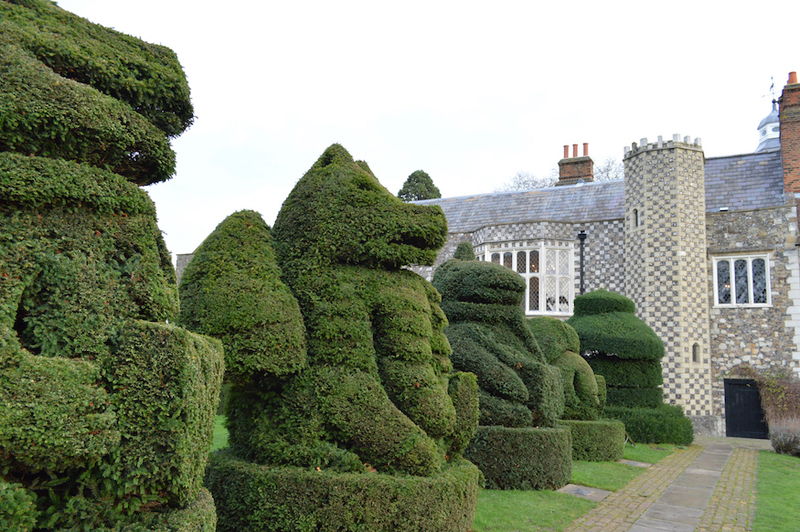 The 10 topiary tributes were inspired by the fearsome heraldic sculptures created by James Woodford to adorn Westminster Abbey at the coronation itself. Cast in plaster, each mythical monster depicted a different part of Her Majesty’s lineage, proudly clutching the relevant shield between its talons/hooves/claws. The originals, now retired and living in the Canadian Museum of History in Gatineau, were 6ft tall. Hall Place’s groundsmen laughed at such puny proportions. They would create spectres to terrify the boldest visitor, menacing monoliths that would tower over the elegant gravel paths and simpering rose-lawns. 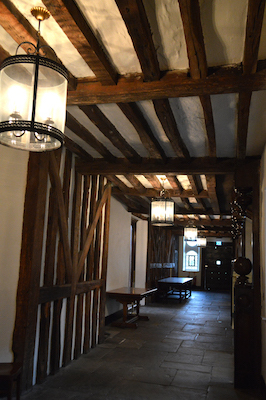 There are beautiful wooden beams at Hall Place. From the Great Lion of England to the Falcon of the Plantagenets, the Black Bull of Clarence to the Yale of Beaufort, each brooding sentinel was lean, mean and sinister. Some 60 years later, the 10 Royal Beasts of Bexley still sit proud, but, well, let’s just say they’ve mellowed. Like so many of their age they’ve succumbed to the easy life and middle-age spread. Still lovingly trimmed, these former horrors have softened into eager, tubby puppies, more likely to roll over for a tummy tickle than roar into the abyss. Horns have smoothed, talons blunted. Hideous snarls have relaxed into happy grins complete with panting tongues; lower jaws nod in the breeze as though chattering about their human guests. 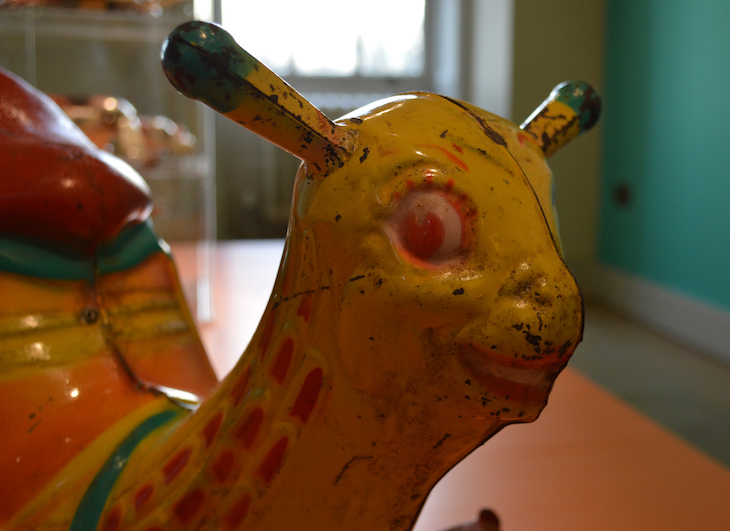 A visit to Hall Place is a joy for anyone who loves ancient oak doors, elaborate plaster ceilings, deep minstrels’ galleries and creepy tin toys. The grounds will delight aficionados of model allotments, staddle-stone [sic] grain stores, Blue Peter-style sunken gardens and giant topiary chess pieces, which in any other venue might be the star attraction. All this, however, pales behind 10 of the least-threatening, cuddliest mythological monsters you’re ever likely to see. If you want to be scared, visit their incarnations outside the Palm House at Kew or the King’s Beasts in the recently-recreated Tudor Garden at Hampton Court. The Hall Place horrors will just make you smile. 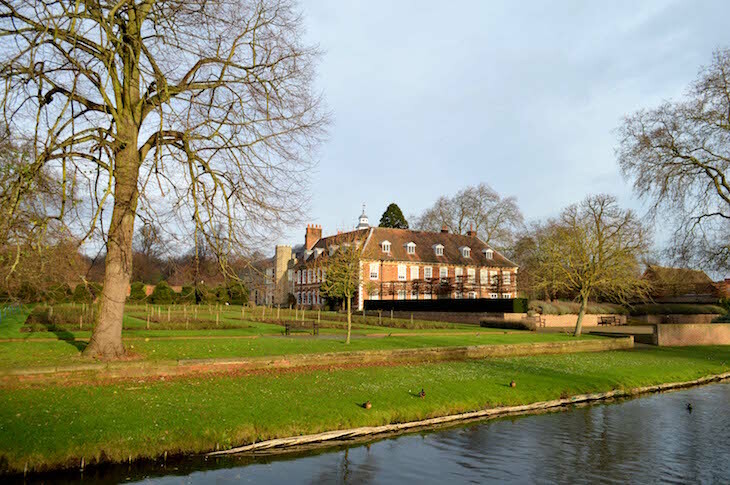 Hall Place is a 15-minute walk from Bexley rail station, or a short bus journey from Bexley town centre. It’s just off the A2 at the Black Prince Roundabout. There is plenty of free parking available. The grounds are open to the public, free of charge, including the Royal Beasts. Tickets for the house cost £8 for adults, £16 under-16 and remain valid for a year.